In an alternate universe where we played gigs..
We don’t do gigs. Some of us would quite like to but others are nervous (to put it mildly) about the idea. I have toyed with the idea of trying stealth-gigs, live music events where the audience and band members may not actually be aware of each others’ presence, but that’s actually quite tricky to pull off logistically and philosophically speaking. My only rule to this game is that the acts we are playing with should be current, i.e. be alive/gigging/recording whatever. Other than that anything goes. Three Dimensional Tanx The local (Lancaster UK) band I love that actually has a record deal. Psychedelic garage-rockers with a great line in organ and whah-guitar heavy riffs, I for one would always recommend seeing the Tanx if they’re playing. The Phantom Band Glasgow based 6 piece who describe themselves as ‘Proto-Robo Folk’ and ‘sproutrock’. What’s not to love? Julian Cope Modern antiquarian, author, anarchist, musician, archdrude, the list goes on as Julian Cope refuses to settle down into one thing. Former front man of the Teardrop Explodes, genre-sidestepping solo artist and leader of various side-projects including Brain Donor (“munting sub-humaniod no-wave”) and Black Sheep (“a ten-piece ensemble of leathery outsider reprobates”) he is, needless to say, one of my/our anti-heroes. Goat Swedish genre blending voodoo nutters. With a mixture of afrobeat, funk, Malian desert blues, post-punk and 70′s psychedelic rock Goat are mask-wearing commune-living fellow spirit travellers in the great anarchic animistic musical revel that we (occasionally) dip into. But they’re actually good at it, very good at it. Follackzoid a Chilean three piece band who describe themselves as ‘cosmic music’ and (allegedly) were surprised to discover that they had more or less come to the same musical place as Can but a couple of decades later and without every having heard of Krautrock as a genre. 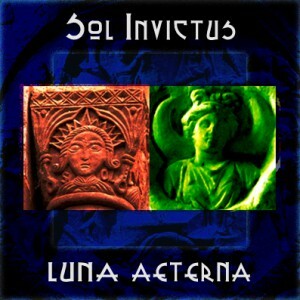 However true that is their hypnotic spartan grooves are infectious and relentless. Electric Moon honest to betsy modern Krautrock (although they bill themselves as acid-rock) from Germany and everything. With massive overlaps into the current kraut/acid/psyche band scene (via members such as Sula Bassana) Electric Moon deliver tight yet trippy soundscapes, heavy with rhythmic guitars and sweeping yet crackling fx/synth swells, all set against driving meteororic percussion. Sweet. Dead Skeletons Icelandic psychedelic rock that sounds a bit goth to us, but that’s cool because like Fezs’ goths are cool now. Quisling Meet This is somewhat self-referential (but worse is yet to come). Quisling Meet is another Lancaster based jam outfit whose membership overlaps with the Decadent Marsupials, they’re more lofi and experimental than perhaps the Marsupials are but make a wonderfully chaotic sound and are well worth a listen. Like the next band they are also self-avowed Discordians..
Mirrorkill If the Marsupials supported Mirrorkill then at the end of our set all but three of us would walk off stage and those left in the limelight would be Mirrorkill. In fact there’s a weak argument to say that the Marsupials are a sort of by-blow of Mirrorkill, who are a Lancaster based Discordian black satire band who currently style themselves as ‘acoustic heavy meta’ and do punky-rock type songs about politics, celebrity and economics and other things in a folky-prog style. As you can imagine we are near terminally un-hip and care not one jot. Unless otherwise indicated times are 3pm – 9pm except on Bank Holiday weekends where we may go on a little later. Again unless otherwise decided by anarchocratic collectivist deliberation assume that the jam location is at Monosapians’ domicile of eternal solipsism. Or possibly the Lancaster Musicians’ Co-Op. Or maybe just the outdoor jam-friendly location with good access, electricity, sunshine and clear star-lit nights that we’ve yet to find.. 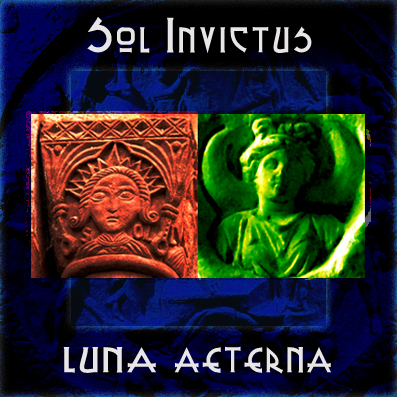 Brand spanking new for 2015 is Sol Invictus Luna Aeterna. Intended as a repository for new chilled-out psychedelic space sounds it’s kicking off with some tracks from our New Years Eve 2014 jam. The title refers to one bona fide Roman god and one work of fiction and is in some sense a celebration of festivities, the turning of the seasons, sun, moon and all things that we like to contemplate in our more relaxed moments. Tracks taken from the jams in August (at the Yorkshire House) and October (some of which may be featured in the 100th edition of The C.O.N. podcast) have been added to the Watchtower Of The North page. To listen to those and other tracks from 2014 you can click here. After a brief sojourn playing out at the Yorkshire House for our August jam we’re back at Monosapians’ cradle of grime for the next event. As ever it’s a open door jam-happening, food provided and as much electricity as your gear can consume. Usual very approximate times; 3pm – 9ish and if you have heavy gear that you would like to be picked up in a 1-2pm time slot then let me know and I’ll see what I can do.